Businesses often assume that their employee’s mental health isn't something they should stick their noses into. When workers have poor mental health it leads to poor work and productivity leading to unsafe work procedures. Let's face it - work is stressful. Whether it's taking orders at a fast food drive through or if you’re a parts driver for a mechanic shop. Here are a few ways that employers can help boost mental health in the workplace. Asking more from your employees than what’s reasonable is one of the main reasons why stress levels rise. Jobs come with deadlines and that’s to be expected but your employees should feel a sense of relief when they leave the workplace that they have met their daily goal. Talk openly about mental health with your employees and offer tools and resources for them to access. Invite speakers to discuss with employees about stress management and offer employees one-on-one’s with health professionals. Make it clear that you will not penalize anyone for making an effort to take care of themselves and their mental health. 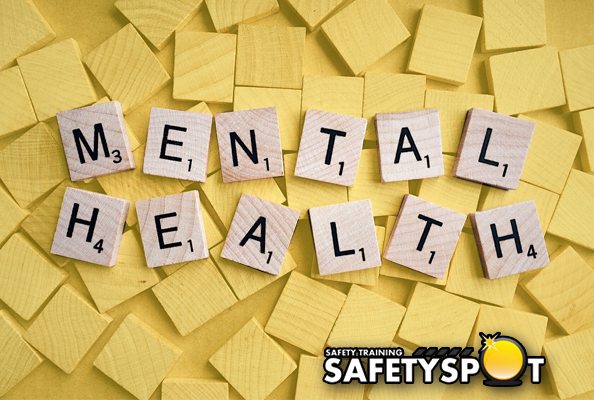 Discuss with your managers about mental health and educate them what the signs are and train them on how to handle the situation appropriately. Expecting your employees to arrive early and work late or even for them to work at night from home makes the chances of your employees burning out much higher. We live in a digital world where work easily follows us home. Think about offering a flexible work day, no emails after work hours, and other programs that promote your employees mental health. Also, encourage them to take regular vacation and mental health days! Research has shown that having a workplace that uses natural light, plants and positive colors helps to make your employees feel uplifted and energized.